Of all the peppers, the sweet pointed peppers taste the best. Syrup from these sweet pointed peppers in combination with Chia seeds provides a true taste sensation. 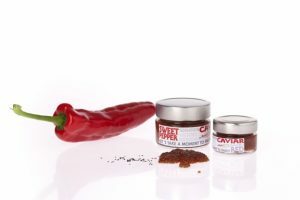 The caviar is a distinctive product by its taste and appearance.